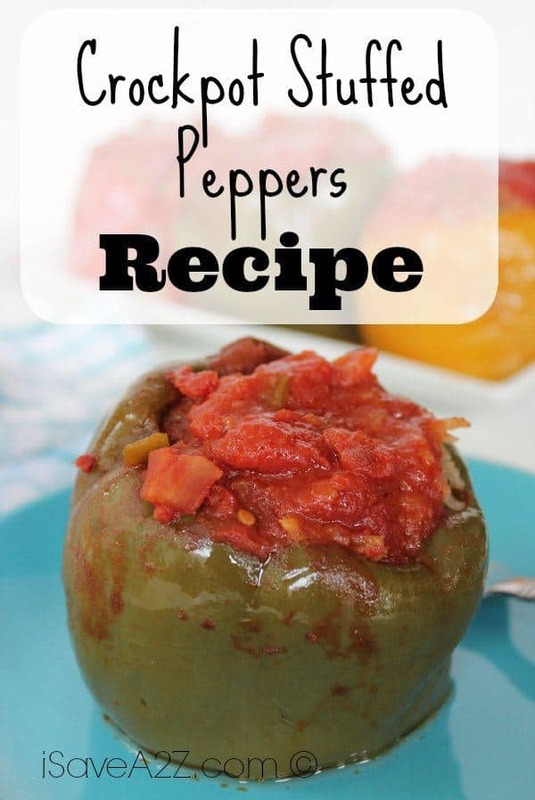 Check out this amazing recipe for some delicious Crockpot Stuffed Peppers! If you have been looking for unique kinds of slow cooker recipes, then you are in luck! 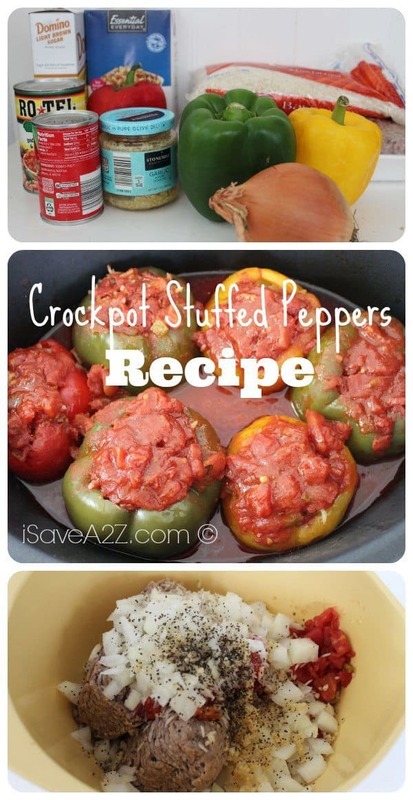 The recipe below will bring you step by step into creating some of the most amazing Crockpot Stuffed Peppers ever!!! If you like slow cooker or crockpot recipes, then you are in luck!! We have plenty of slow cooker recipes here to share! Be sure to check out our Crockpot Carnitas, our Honey Garlic Chicken, our French Dip recipe, our Dr Pepper Pulled Pork, our Beef Burgundy Recipe, and plenty more here! If that isn’t quite enough slow cooker or crockpot recipes for you, then you can be sure to check out this amazing cookbook dedicated to only the most loved slow cooker recipes! With that cookbook, and the recipes here on this site, you should be able to have all of the slow cooker recipes you could ever want! Check it out! Drain the liquid from 1 of the cans of the tomatoes into a bowl and set the bowl aside. Combine the ground beef, rice, onion, garlic, drained can of tomatoes, salt and pepper and mix well. Use the meat mixture to stuff the peppers and place it in a slow cooker. Add the remaining can of tomatoes to the bowl containing the other liquid. Add in the tomato paste and the brown sugar and stir to mix well. By Megan on August 19, 2016 Crockpot, Recipes.